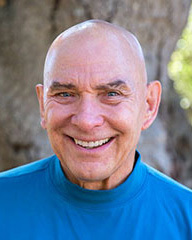 G. William Domhoff, who goes by "Bill," studied dream research with Calvin Hall at the University of Miami, where he received his Ph.D. in psychology in 1962. Before that, he attended Duke University in North Carolina and Kent State University in Ohio (M.A., 1959). He has been teaching at the University of California at Santa Cruz since 1965. In 1993 he was promoted to Distinguished Professor of Psychology; in 2007 he received the Constantine Panunzio Distinguished Emeriti Award, which honors the post-retirement contributions of UC faculty. Bill has published numerous articles on dreams in academic journals, some as a co-author with Hall and others with Adam Schneider (they are listed below). His most recent book, which presents a new theory of the where, when, how, and what of dreaming, is entitled The Emergence of Dreaming: Mind-Wandering, Embodied Simulation, and The Default Network (Oxford University Press, 2018). There’s an overview of it here on this web site, along with links to a news story about the book, a lecture related to it, and an online methodological appendix. In a nutshell, the 2018 book demonstrates that dreams are enabled by an augmented portion of an area of the brain called the default network, which has to be mature (roughly ages 9-11 for frequent and complex dreaming) and intact (no lesions in the medial prefrontal cortex or PTO junction). Dreams occur when the default network has sufficient activation in the context of the occlusion of external stimuli and a concomitant decline in activation in the externally focused brain systems called the frontoparietal (central executive), dorsal attentional, and salience (Red Alert) networks. At the cognitive level, dreams require the development of an imagination network between ages 5 and 9. At that point dreaming can be characterized as an intensified form of mind-wandering, based on embodied simulation, which enacts and dramatizes our personal concerns about the past, present, and future. Bill's (2003) book on dreams is entitled The Scientific Study of Dreams: Neural Networks, Cognitive Development, and Content Analysis. It presents an earlier version of his neurocognitive theory, before anything was known about the default network and its major overlap with REM sleep. It presented a full statement on the then-new DreamBank.net and how it could be used by one and all for research. It is also notable for the most detailed quantitative study of a very long dream series that had ever been carried out. Bill's 1996 book, Finding Meaning in Dreams: A Quantitative Approach (Plenum Publishing Company) was the original basis for this Web site. It relies heavily on quantitative studies done earlier by Hall and more recently by Adam Schneider. The material in the book on cross-cultural findings (Chapter 6), the consistency of dream content over years and decades (Chapter 7), and the relationship between dreams and personal concerns (Chapter 8) are still the most comprehensive and up-to-date summaries of these literatures that are available. The complete text of the book is available on-line in the Dream Library on this Web site. For a list of all of Bill's published works about dreams, click here. Go back to the "About us" page.